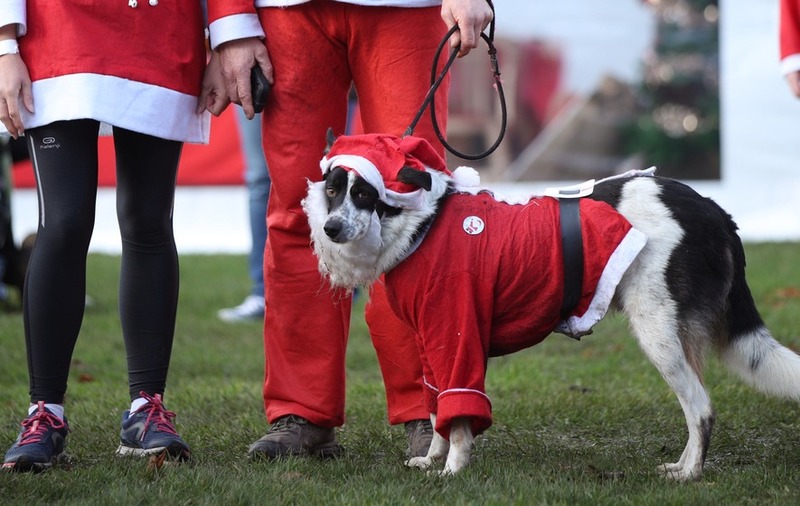 Yes, that is a dog dressed as Father Christmas. 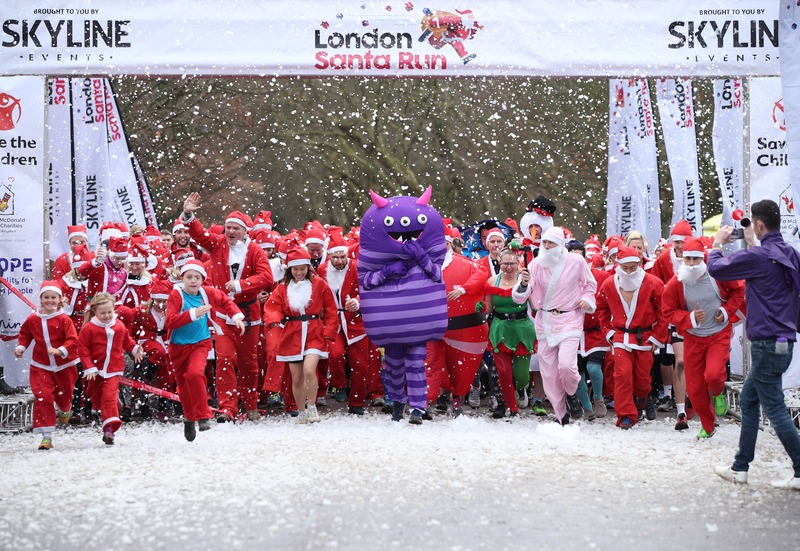 Charity runners got into the Christmas spirit in their own energetic way this weekend by taking part in the London Santa Run in Victoria Park. 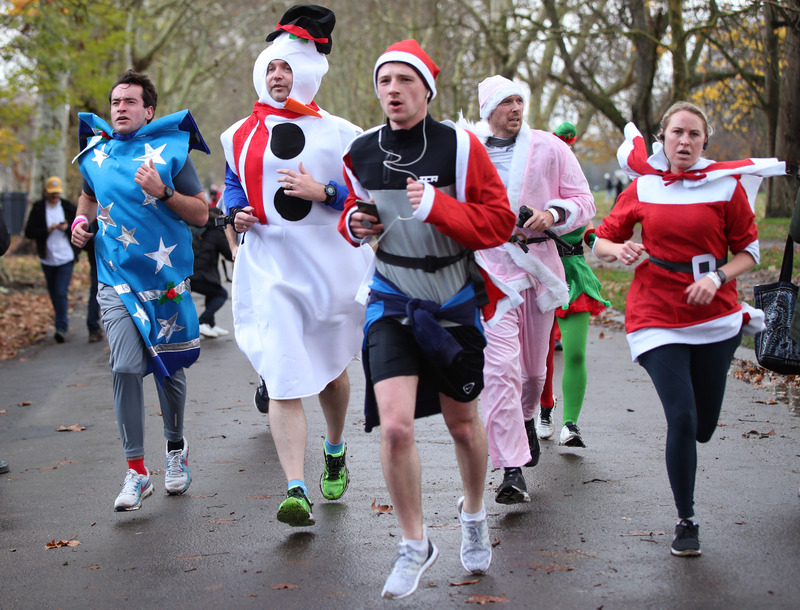 With the run celebrating its 10th anniversary, the east London park was transformed into a festive course where participants could complete one circuit at 5km or go round twice for 10km. 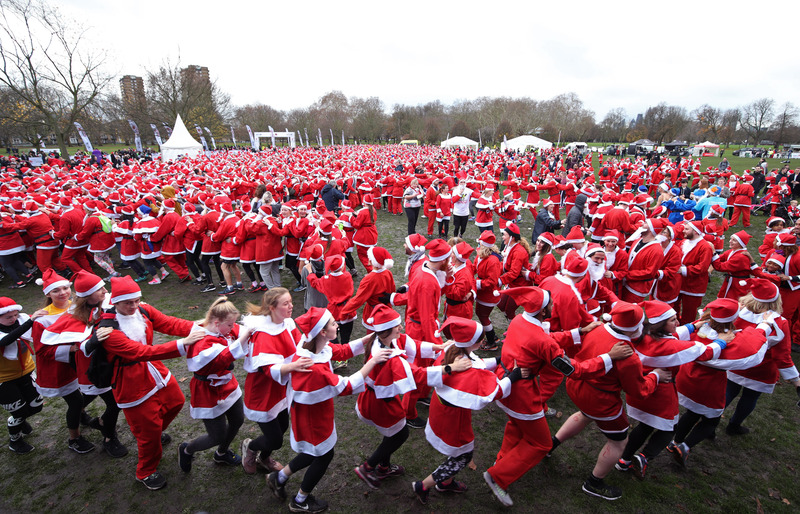 The mood was more light-hearted than competitive, as this Santa conga demonstrates. 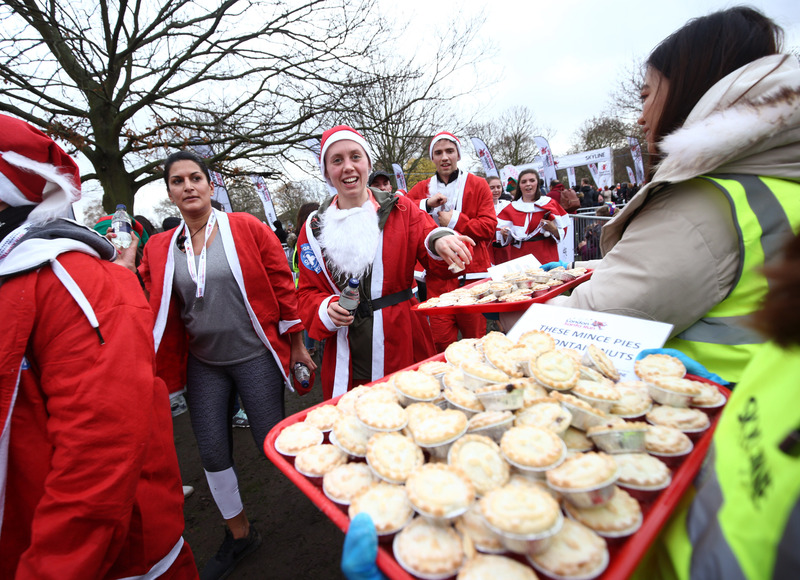 Meanwhile, festive snacks were on offer to the myriad merry runners to guzzle down. 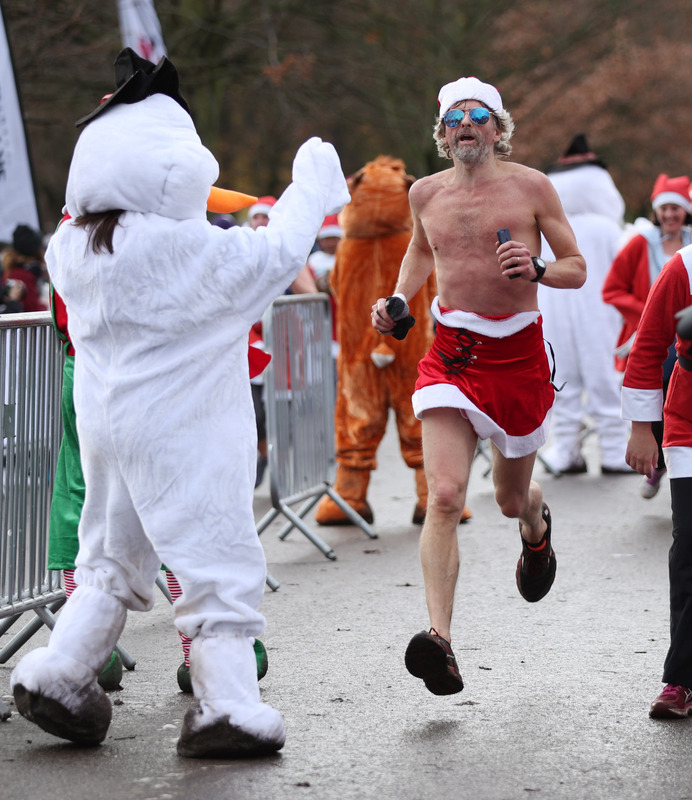 Even Santa needs to cool off once in a while, such as when he’s delivering presents to Australia. 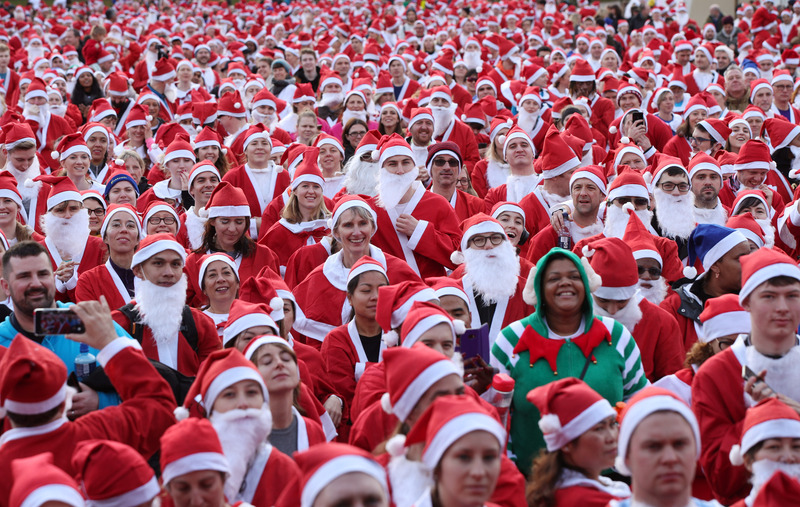 And what would Christmas be without the elves to make the toys? Does anybody recognise this purple monster? 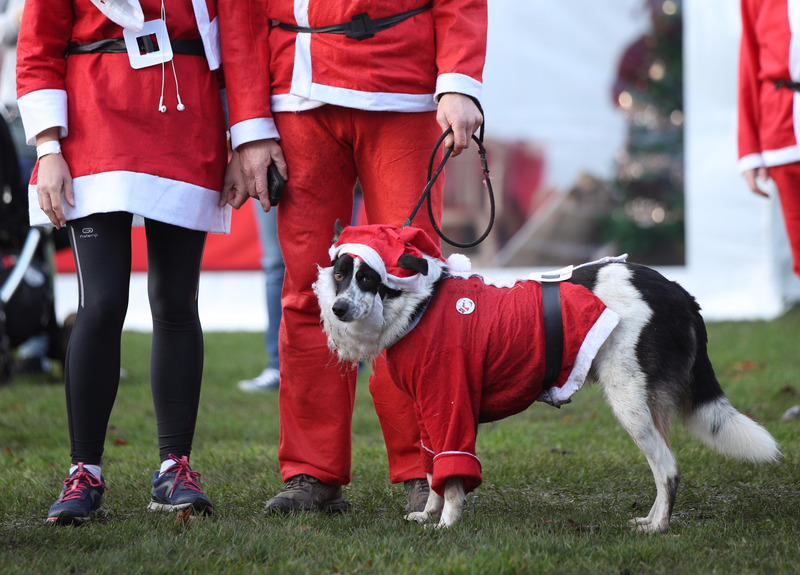 And last but by no means least, there were of course dogs on show. 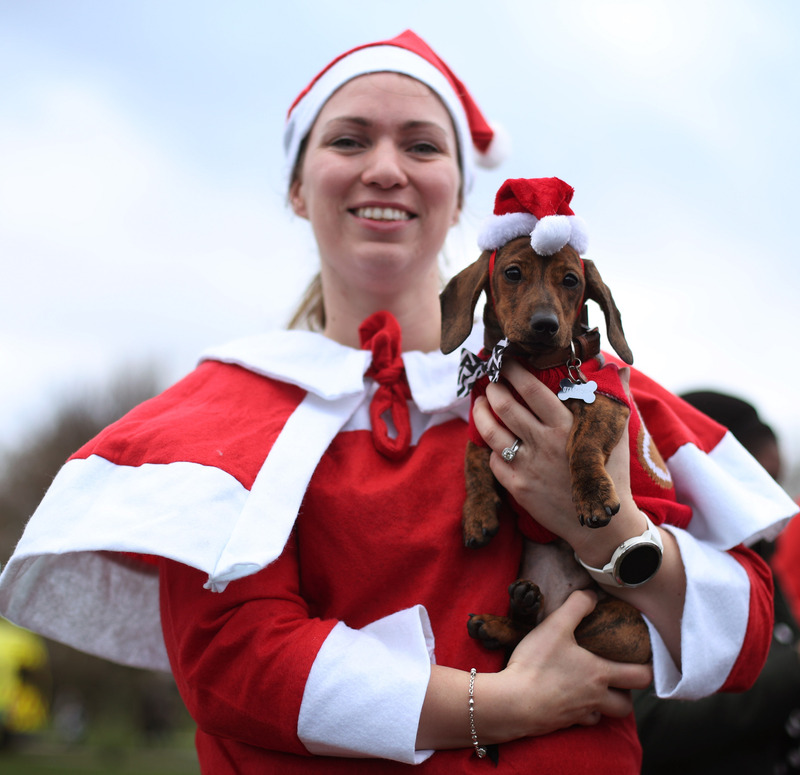 Remember – dogs are for life, not just for Santa runs.